Mandala Trading Blog: New Wall Masks! We have a couple of new masks for our Himalayan Masks section in stock. These masks are for hanging on the wall of your home, office, etc. This elephant mask or Ganesh mask was handmade in Nepal. 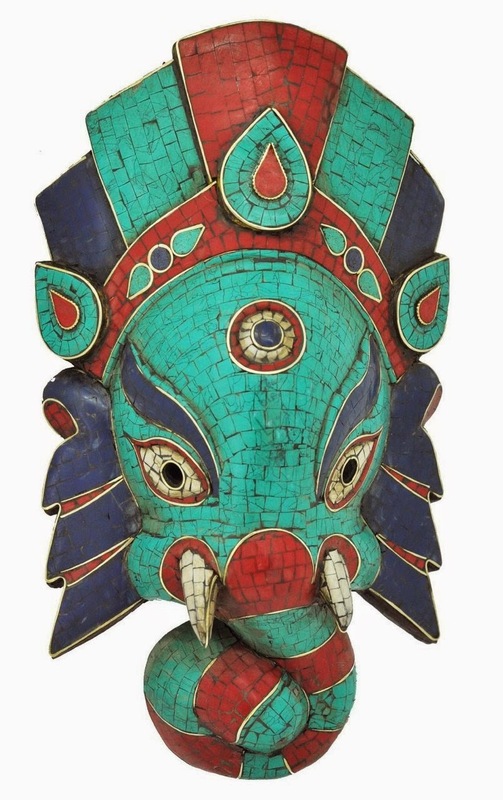 It is made from wood, with turquoise, coral, and lapis lazuli inlay around the outside of the mask. This mask is 13 x 7 x 4 inches. Ganesh is a significant deity in Hinduism, and he is popular in Buddhism as well. Ganesh is the son of Shiva and Parvati and it is said that Ganesh's head was replaced with an elephant head when he came between Shiva and Parvati in a fight and so Shiva swiped off his head and replaced it with that of an elephant. Ganesh is the Lord of Success. Elephants in general have a great history in Tibetan Buddhism, the elephant is strong and so it is a symbol of physical strength and also mental strength. The idea in Buddhism is that one can practice the dharma and calm the mind, in order to access the wisdom in each of us. This mask is made from wood and it was handmade and hand-painted in Nepal. It is 10 x 6 x 3 inches. 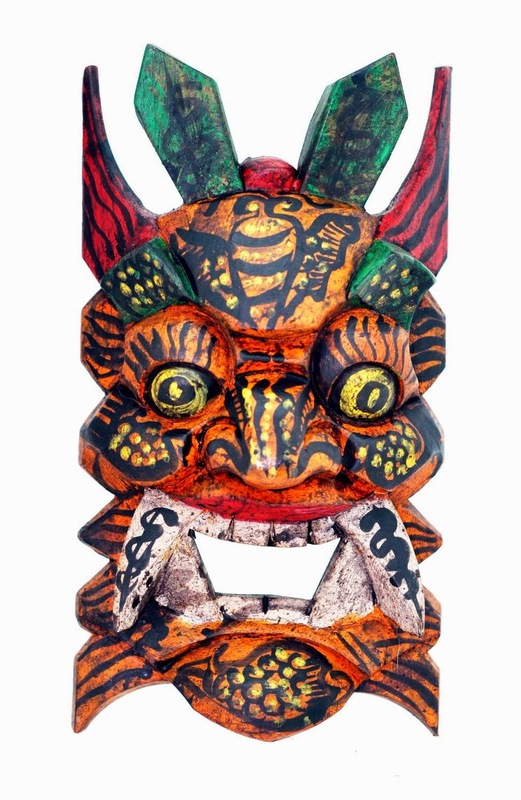 This is a great fortune mask, and it will bring fortune to your home or office.